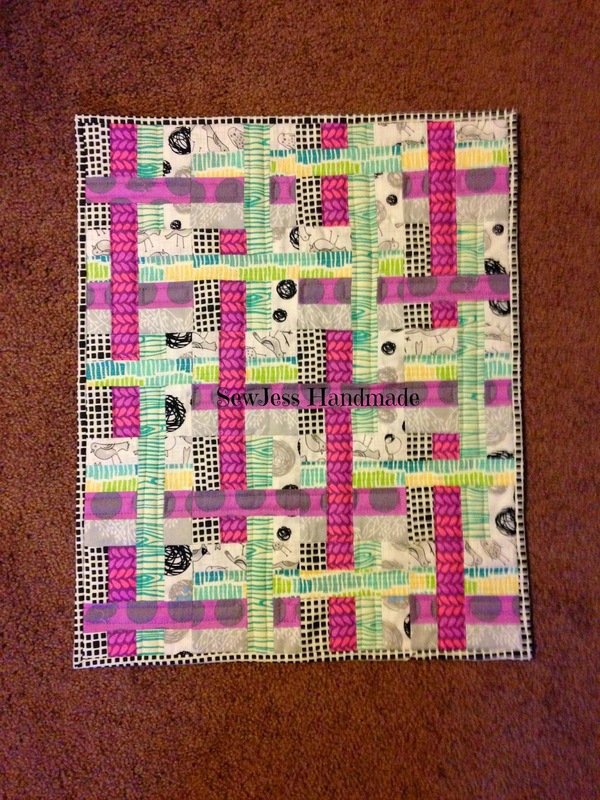 Wanted to share the quilt I made for my partner for Round 3 of the Schnitzel & Boo Mini Quilt Swap. This is the second time that I have participated in this swap and it was just as fun as it was over the summer. It did get a little crazy with the holidays, but with a little planning on my part, I had my mini pieced together and ready for quilting before I had to finish my Christmas sewing. I decided that this time around I wanted to try a new quilt pattern, so I landed on the Mini Come What May pattern by Jaybird Quilts. There is only one block to this pattern, making a fairly easy pattern to make, the tricky part is keeping your fabrics in the right order, so you will end up with the woven look. What helped me was using low volume fabrics for the weaving underneath and brighter fabrics for the weaving on top. I love how it turned out. This is one pattern I will be making again, so I can have one to hang up in my home. 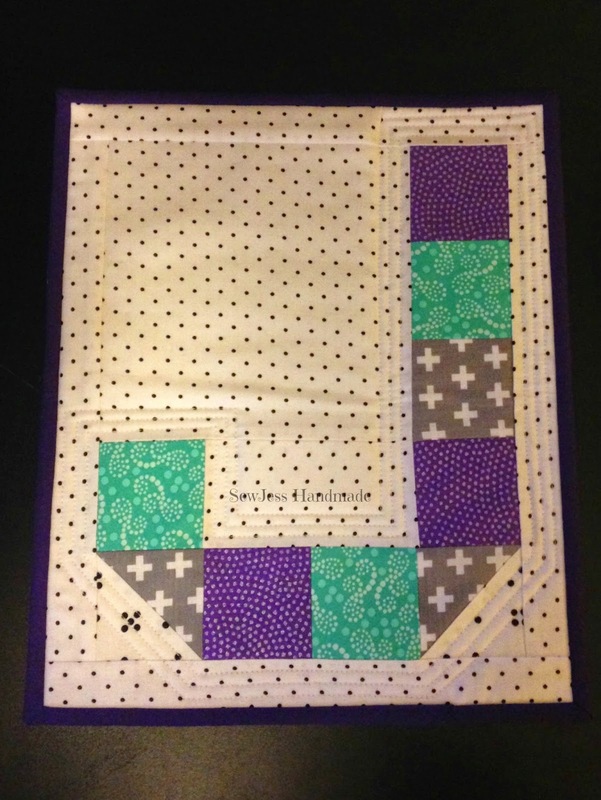 I of course added some extras, including a zipped pouch, fabric scraps, mini charm pack, and this little initial mini quilt. I love the Spell it With Fabric patterns by Moda Fabrics. I have used them for a few different mini quilts and love them. So for this one I decided I would make a scrappy version (now I need to make a few for my family)! Now it's time to work on my other swaps and try and finish them up before baby girl joins us in early March.